Business description - South West Pinnacle Exploration provides end to end drilling, exploration and allied services to coal, ferrous, non ferrous, atomic and base metal mining industries and water & unconventional energy industries. The company has 37 operational rigs and support equipment of different capacities to drill upto a depth of 2500 meters. It also provides consultancy for geological field services and allied services. The company has an in-house team of geoscientists for providing integrated exploration services including geophysical logging, surface geophysical & topographic surveys. The company has recently diversified into aquifer mapping for Hydro-geological organisations in India for determining the quantity and quality of groundwater in a particular area, viz., water level, productivity and concentration of various chemicals in groundwater. This helps in identifying zones for groundwater development, groundwater recharge, rainwater harvesting etc. The company has completed more than 950,000 meters of drilling including 60 CBM exploratory and 166 CBM production wells for both Government and Private Sectors. Currently, the company has 10 running projects in different states of India. 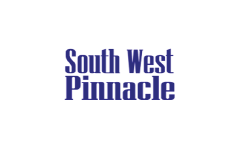 South West Pinnacle IPO allotment status is now available on Link Intime's website. Click on this link to get allotment status. Looks best of all the sme ipos. This company is doing quality work and entry barriers are high so margins are protected. It is going to be a multibagger! One of the few companies which make sense for investment. I’ve worked at South West in the past, both directors are good people. Very ethical.